Active Health: Liver Detox uses three of the most potent liver cleansing, detoxifying and protecting herbal extracts known, to keep you operating optimally. Your liver is one of the most important internal organs, and can be highly indicative of your overall level of health. Your liver has to put up with a lot of front-line action from today's fatty foods, sugary snacks and alcohol consumption. With more and more toxins and unhealthy compounds entering our food chain, keeping the liver in prime condition has never been more important. Active Health: Liver Detox can help protect and cleanse your liver, increase metabolism and improve the immune system, or even just be used as protection for periods of heavy partying, and even as a standalone hangover cure. 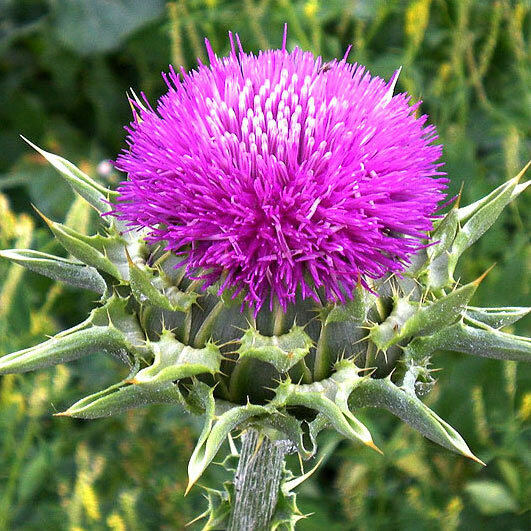 Milk Thistle (Silybum Marianum) extracts have been used for many centuries as "liver tonics." The active compound, Silymarin, increases both blood and bile flow through the liver to increase the speed the liver detoxifies compounds which pass through it. It also protects the liver from being affected by certain toxic compounds, and helps cure hangovers by increasing the speed blood alcohol levels are normalised. Artichoke has one of the highest antioxidant counts of any vegetable. It is clinically proven to protect the liver, increase bile flow through the liver, detox your system and clean your blood more effectively; it also reduces "bad" LDL cholesterol and has a positive effect on your internal flora. Our Active Health: Artichoke Extract is standardised to contain 2.5% of the active compound Cynarin. Click here For more information about Active Health: Artichoke Extract. Ganoderma Lucidum (Reishi) has been used for thousands of years as a general all-round immune system and liver tonic. It is hepatoprotective (liver protective) and is a powerful antioxidant. Along with these beneficial properties, Reishi is also antibacterial, antimicrobial and helps lower LDL (bad) cholesterol, making it the perfect accompaniment to the other ingredients in this liver detoxifying formula. Our Reishi Extract is standardised to contain 30% Polysaccharides and 30% Beta-Glucans, which are the high strength active compounds. Click here For more information about Ganoderma Lucidum (Reishi) Extract.